The Sony VAIO S is a stylish and sturdy laptop, well-suited for students and business users. Portability has been well-taken care of, with the laptop weighing just 1.69 kg. Sony has paid attention to the ergonomics of the keyboard, allowing you to use it for longer periods without experiencing fatigue. Battery life has increased, thanks to the newer components such as the Sandy Bridge processor. 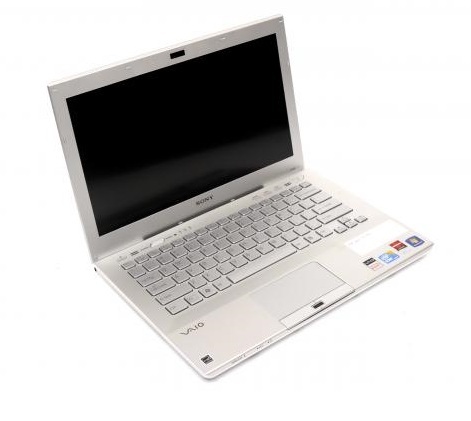 The same processor, along with the capability to switch to AMD Radeon graphics turns it from a long battery life portable laptop to a high performance workstation. Although you have to pay extra, Smart Battery does provide you with the option to instantly double the battery life, which is something like a boon for people on the move. One major gripe about this otherwise excellent laptop is its poor display quality. If the display would have been better, it would have been very easy for us to recommend this laptop. While you can configure it online before you buy, the configuration we received costs Rs 56,990, which is a bit on the higher side, considering the fact that it does not come with a Blu-ray drive. If you’re going to be using this laptop at home or at in office on a powered line, the battery life shouldn’t be an issue and the new VAIO S makes a good buy for anyone looking out a light-weight portable laptop to carry everyday. There are other manufacturers offering solutions at similar prices but few of them include an optical drive solution. With a weight of only 1.7kg, and a magnificent combination of good looks, useful features, super-long battery life and fast performance, the Sony VAIO SB Series (VPCSB16FG) is sure to stand out from the crowd for a long time to come. It's one of our favourite notebooks to date and we think any user who is in the market for a light and powerful 13in laptop should put this right at the top of their consideration list. Executives, in particular, will be very pleased with it. AMD Radeon HD 6470M: Entry to middle class graphics card based on the Seymore XT codename featuring the UVD3 video processor. Non demanding games should be playable with these graphics cards. » Further information can be found in our Comparison of Mobile Graphics Cards and the corresponding Benchmark List. 73.75%: This rating is bad. Most notebooks are better rated. This is not a recommendation for purchase.